TR3OC 40th Anniversary T-Shirt. Quality Tee Shirts, Gildan Premium Cotton. Available for this year only, limited stocks. Priced at £8.50 plus postage and packing. 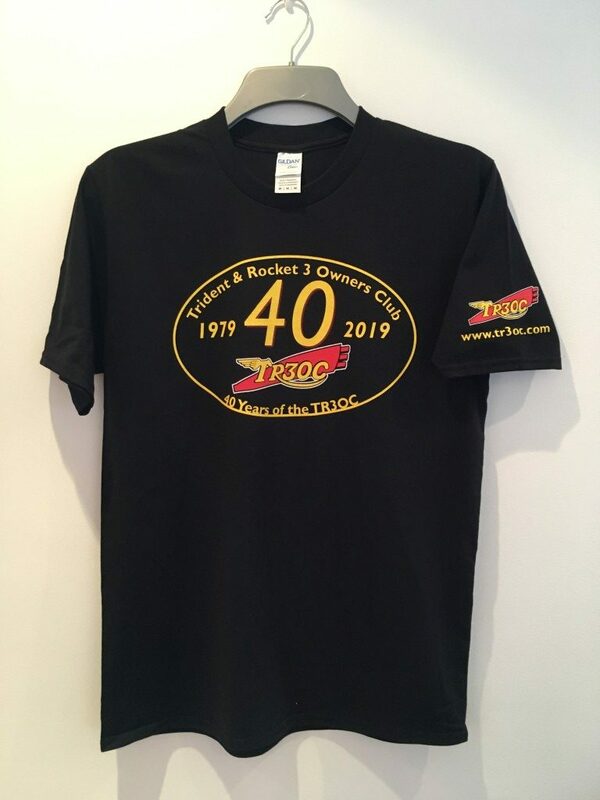 This is our TR3OC limited edition T -Shirt designed by Les Davies for our 40th Club year. Quality Tee Shirts, Gildan Premium Cotton.